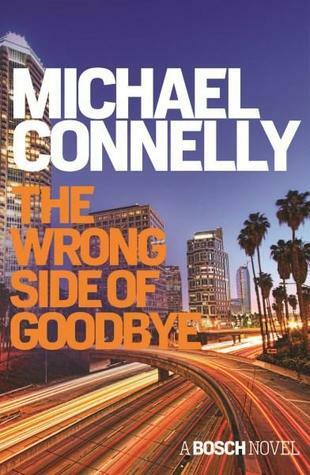 Michael Connelly kindly provided me the link to the music in all his novels and says he has no plans to release an album (at this point). From this British-American band’s blues origins in the 1960s to its pop superstardom in the 1970s and 1980s to its 2015 reunion, Fleetwood Mac has endeared itself to audiences worldwide. Fleetwood Mac: The Complete Illustrated History covers the band’s illustrious career, highlighting details that will surprise even the most loyal fans. With a career that began nearly fifty years ago and yielded seventeen studio albums, Fleetwood Mac has had a rollercoaster career, detailed here through a carefully researched text and myriad photographs and memorabilia, including some rare and little-seen items. The band’s most popular line-up includes drummer Mick Fleetwood, bassist John McVie, keyboardist and vocalist Christine McVie, guitarist and vocalist Lindsey Buckingham, and singer Stevie Nicks, but its members have shifted over the years since Fleetwood Mac began in 1967. And although the band’s superstar phase in the 1970s is most familiar to the public, Fleetwood Mac’s roots were in the blues, and the band evolved in fits and starts before finding popular success. 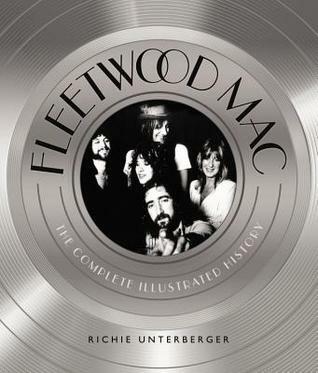 Fleetwood Mac: The Complete Illustrated History documents their entire story, including the troubled circumstances that led to the 1970 withdrawal of the band’s original guitarist, Peter Green, as well as the broken marriage of John and Christine McVie and the romantic breakup of Stevie Nicks and Lindsey Buckingham that threatened to split the group even as they were recording one of the biggest albums of all time, Rumours. This is the whole story of one of rock and roll’s greatest bands. Now this is how the history of a musician/rock band should be written and presented! Others take note, this is a joy to look at, to read, to own. Let’s talk photographs/images – they are superb! The quality of the prints, the access to material; the posters advertising concerts, the album covers (and the wonderful “Selective Discography” at the back of the book complete with album covers), the shots taken during concerts, recording sessions…the playfulness, the colour, the fashion…this book has it all. Informative, spectacular and a treat to hold – this book is a great one for the fans or as a coffee table book. The introduction captures the essence of being a teenager and discovering music in the early 70’s – music that influenced society, fashion, language, tv programming, family interaction…such a powerful seductive influence. 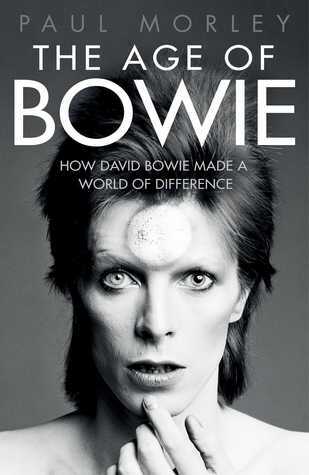 I also appreciated the lists – of albums and at the end of the book a chronological list of David Bowie’s life- major events and achievements. I also liked the list of Bowie’s favourite 100 books. We (the reader, the fan) have our own memories of Bowie, this is Paul Morley’s memory, his fan moment – it did not feel like it was written for the general public but for Paul himself to pay tribute to a musician he so obviously adored. His fan boy moment. Too gushy, to…too much. I felt like I was intruding. The use of He….I found this devise irritating…”He is moving from the pubs and clubs into theatres…He is afraid to fly….He is swanning around America… (p.260). And although this is nothing to do with the actual writing of the memoir – I intensely disliked the tissue thin paper this book was printed on, paper that yellowed within weeks of this book arriving on my desk. Just my opinion I’ll leave you to make up your own mind. What if your child wanted you dead? 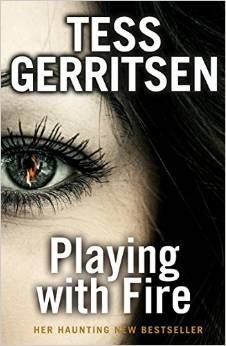 Tess Gerritsen is a writer who does not let you down! This fast paced mystery will have you tearing through the pages racing to the climax! A dual time lined mystery, one narrative set in Italy during WW11 is heartbreaking and devastating, and the other, a contemporary narrative, collides with the WW11 story in an explosive and haunting manner, startling with its conviction. The settings and the music provide a most exquisite backdrop to this story – I could feel the music racing across the pages – sometimes passionate and vibrant, sometimes sad and mournful – either way they added a level of emotional connection to the dual narratives; the perfect glue to connect the two stories. The twist in the conclusion will leave you gasping! And relieved. And just a little disappointed; I really enjoyed the haunting, paranormal aspect of this narrative and would love to see this author try her hand a full blown paranormal mystery. A great read. 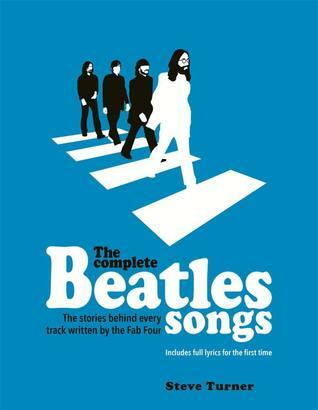 For the first time, every single lyric of every single Beatles song appears in one book, with the story behind its creation. Who was ‘just seventeen’ and made Paul’s heart go ‘boom’? Who was ‘Lady Madonna’? Was there really an Eleanor Rigby? Why was Paul the ‘walrus’ and what inspired the lyrics to Ringo’s ‘Octopus’s Garden’? The Complete Beatles Songs shatters many well-worn myths and adds a new dimension to the Fab Four’s rich legacy by investigating the events immortalised in The Beatles’ music and now occupying a special niche in popular culture’s collective imagination. This beautifully packaged – and first-of-its-kind – 2015 edition has been fully revised with a complete set of printed lyrics to accompany each song. Every Beatles-penned song is discussed and the inspiration behind it is examined, including all of their studio albums and later official releases. You got me at the word BEATLES! I am a big fan of the Beatles, the minute I saw the title of this book I knew I had to have, hold and devour this book. This is a book that will get you humming away or maybe singing out loud…enjoying the music of the Beatles all over again. Full of great images, (the images are amazing!) and the words to every great song the Beatles recorded – they were all great, and the inspiration behind the songs, this book has it all. Reminisce, sing, and smile. Love the music and the era, this book will transport you to a different world. So if you ever wanted to know the actual words to Michelle or Yellow Submarine or Lucy In the Sky With Diamonds….this book is for your sister, your brother, your mum, your dad…be honest this book is a gift to YOURSELF! As some of you may have noticed recently I have started reading a few health related cook books and general healthy living books – I am working my way up to some changes in my diet and lifestyle – that is I am trying to get a bit fitter. 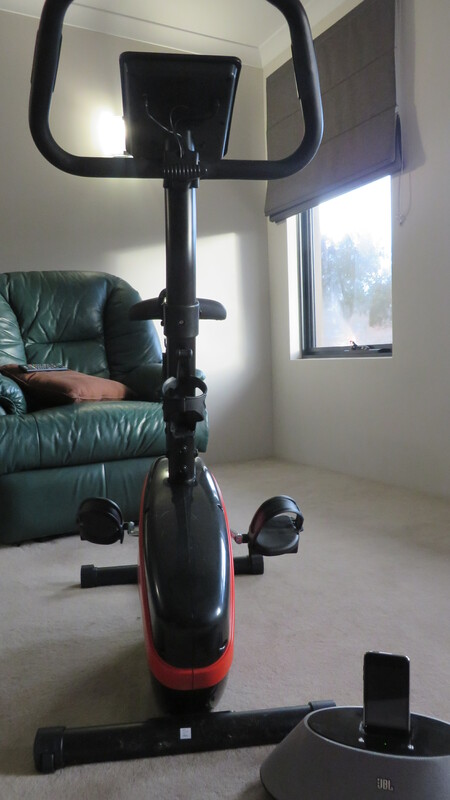 I have started by buying an exercise bike – and setting that up in the lounge room ( we don’t watch TV much these days). I have been building up my stamina – today I rode for sixty minutes – 28kms. Now to do that every day! So to assist the motivation I need to create a play list of blood pumping, foot stomping, sing out loud , pedal pushing music. I need about twenty to twenty five tracks, I think, to get me through the hour. Any suggestions greatly appreciated. A remarkable read! A well-constructed narrative that deals with two time settings, the earlier time frame – the late 1960’s – Glasgow and London and events that had far reaching implications for all those involved and then the decision to revisit the past; in all its glory, with its downfalls, its sadness, naivety, bleakness and the loves, friendships and hope. 2015 sees the world through aging eyes and rights still have to be made, restitution paid. Crimes have been committed. The scales need to be balanced. The settings are finely drawn. The characters believable, three dimensional and empathetic. I love their mission, and the ending has more than a few twists. This is more than a work of crime fiction, this is more than just a contemporary narrative, and this is more than the sum these elements … so much more. This is a story of life, of death, of adventure, of the potential of youth and the potential of older age and mostly this is the story of enduring friendships. And this is about pain, without pain you have nothing. 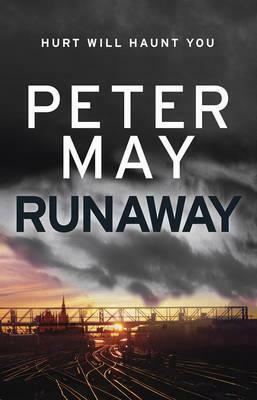 I loved my first Peter May read and will certainly look for others by this author.